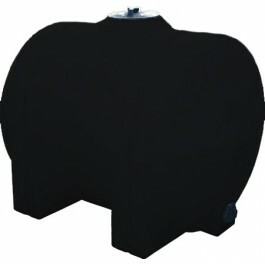 Norwesco 125 Gallon Horizontal Leg Tank, part# 40955 is a black portable transport tank. It's primarily used for the storage and transportation of water and chemicals. This horizontal leg tank is used in a variety of industries such as construction, manufacturing, agriculture, lawn care, and pest control. The tank is often mounted to trucks, trailers, ATV's, and agriculture equipment.